Earlier Bajra was considered as the food for poor but mind has changed and today Bajra is one of the best and nutrient rich millet for our daily diet. 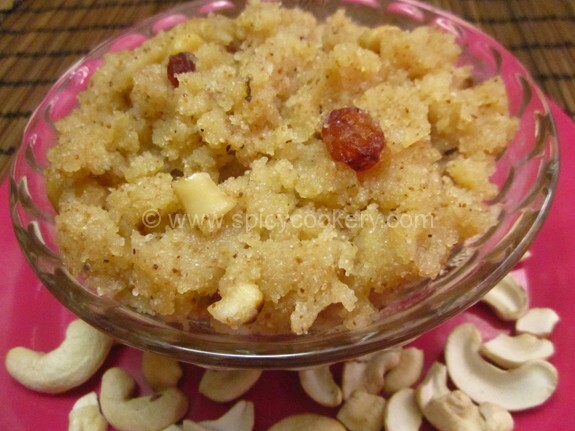 It is rich in fiber and improves our skin tone due to its beta carotene in it. 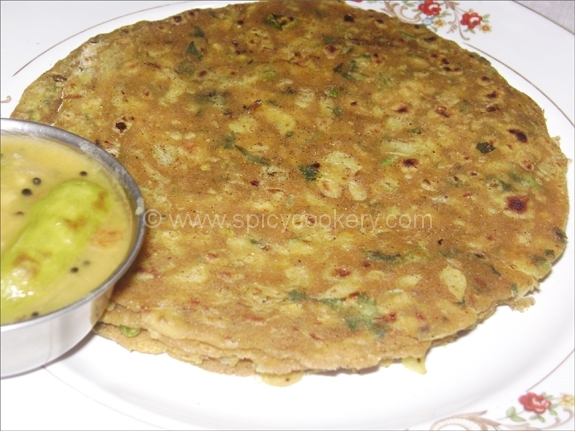 Bajra is grown in some parts of Rajasthan but used in most part of the country mainly by Guajarati and Maharashtrian. 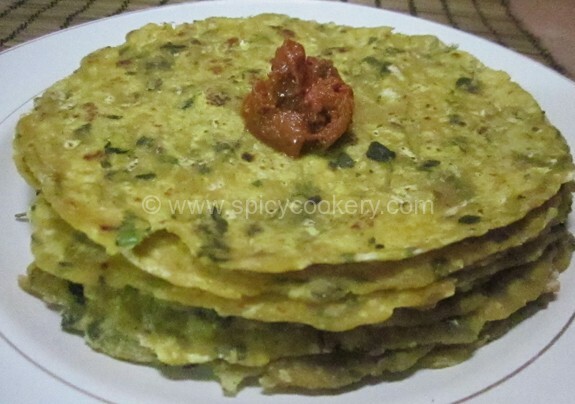 Traditionally Bajra Rotis are cooked in Kanda (cow dung cake) but we can try this in our gas top too. 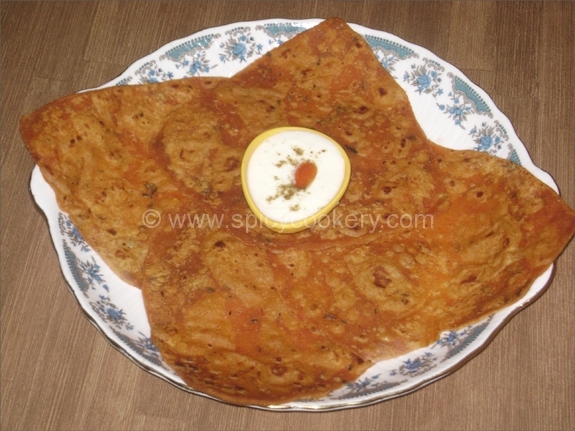 Bajra Roti/ bhakri, Bajra laddoo, Bajra Khichdi/ Khichu are common varieties made out of Bajra. 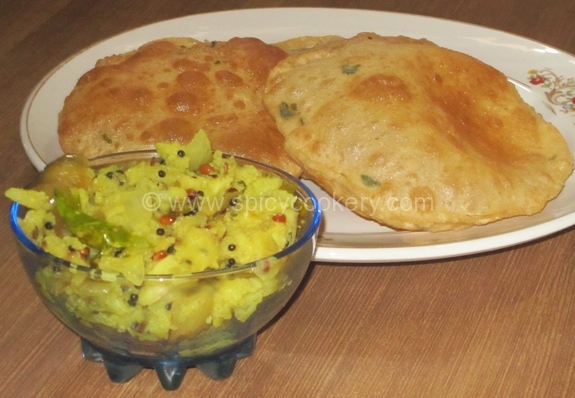 Today I have made is BajraMethi Poori, a variety dish for morning breakfast along with simple Aloo Sabzi. One main thing we need to keep in mind is that while kneading the dough only limited water needs to be added otherwise the dough becomes much sticky and unable to roll. 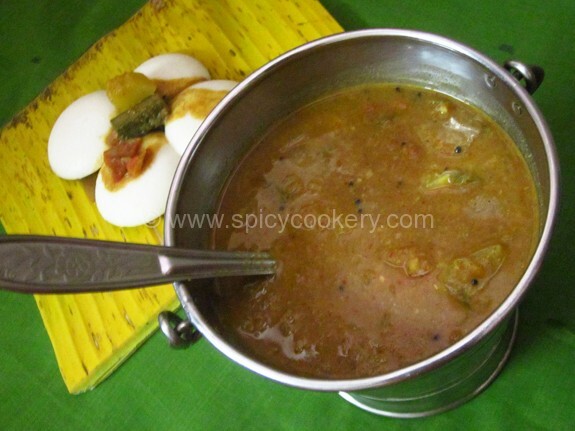 Chopped Fresh Methi leaves can be added instead of Kasoori Methi. I didn’t have fresh methi leaves so I substituted with Kasoori methi which made this poori really tasty and healthy. Let’s get into the recipe. Take a vessel. Add all the ingredients mentioned above except oil. Mix well. Add little water and knead the powder to make smooth dough. Add 1tsp oil to the dough and knead well. Keep the dough closed for 15mins. Make small balls out of the dough. Roll each ball to a small round with medium thickness. dough & drop it in the oil. If dough comes up to the surface then the oil is hot. 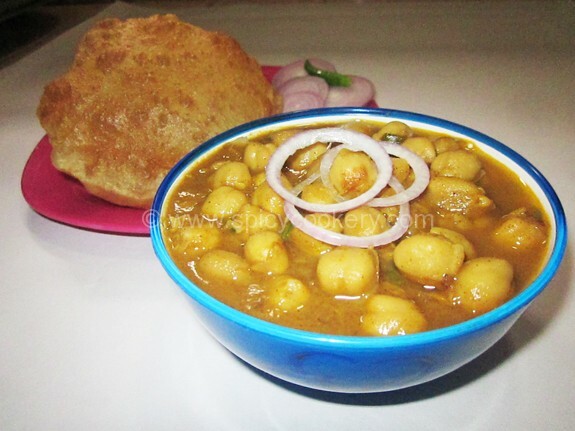 Drop the poori in oil & keep stirring with ladle so that poori puffs up to the surface. Turn to the other side & when it starts turning slightly brown, remove it to a plate wrapped with tissue paper. 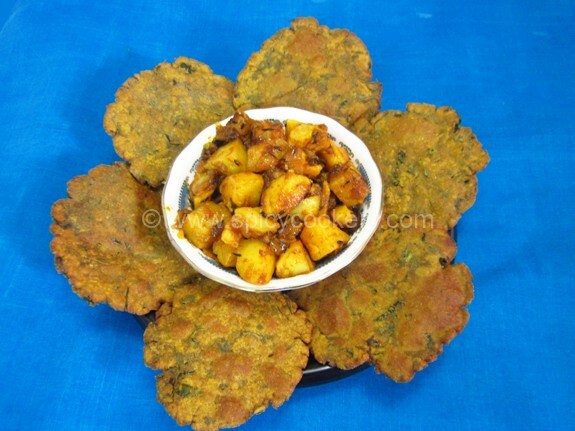 Bajra Methi poori is ready to serve hot with Aloo Sabzi.